Fastmark FM M8x DT/TT 203 PAL Thermal Printer - 203 dpi, colour LCD, Ethernet, USB, RS-232, Parallel, USB host ports. Includes PAL Plus, Eltron, Zebra, and Datamax emulations. FM M8x DT/TT 203 PAL FM M8x DT/TT 203 dpi, colour LCD, Ethernet, USB, RS-232, Parallel, USB host ports. FM M8x DT/TT 203 PAL Peel FM M8x DT/TT 203 dpi, colour LCD, Ethernet,USB, RS-232, parallel, USB host, peel and present. FM M8x DT/TT 203 PAL Rew FM M8x DT/TT 203 dpi, colour LCD, Ethernet, USB, RS-232, Parallel, USB host ports, internal rewind. 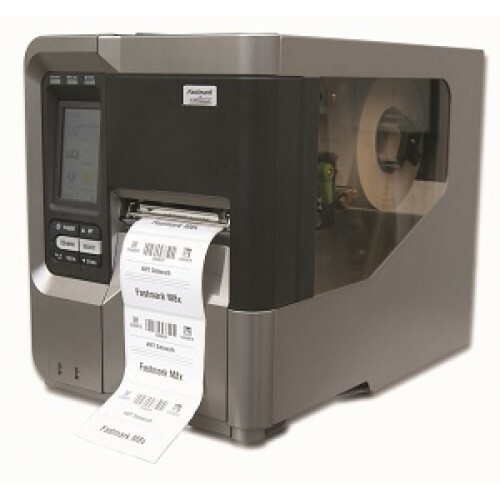 FM M8x DT/TT 203 PAL Cut FM M8xx DT/TT 203 dpi, colour LCD, Ethernet,USB, RS-232, Parallel, USB host ports, cutter.